Little Miss Hood's Adventures in Kindergarten: Got Milk? Learning that milk comes from cows was an eye opening experience for many of my kinders. You can imagine the answers I got when I asked them about where chocolate milk comes from. One of my favorite comments was "Chocolate milk comes from cows that eat chocolate." How cute is that? We learned about the parts of the cow. This chart demonstrates the process of how we get milk. They took home this little book to teach their parents about what they learned. What a great lesson to learn! thanks for sharing. 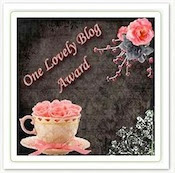 I posted instructions for adding an award to your blog. Come check it out!